Interested in becoming a sponsor for our next event? Contact us! Everyone makes mistakes. If you use spreadsheets this will also happen to you and every Excel-user would like to trace and fix these errors swiftly. ExcelAnalyzer is a powerful Excel add-in for Excel users and is designed by Spreadsheetsoftware to make spreadsheets understandable again and without errors. ExcelAnalyzer is now free for trial for 30 days. Making spreadsheets is an art. Although many people use Excel, understanding and maintaining spreadsheets often proves a challenge. How often haven’t you thought to yourself: What happened here? To craft well-designed and reliable spreadsheets is an art, but it doesn’t have to be difficult. Infotron provides the tool PerfectXL, to help with both the construction and validation of Excel spreadsheets. Vena is an award winning and easy to use web-based workflow and process modeling solution that enables Corporate Performance Management (CPM). We combine native Excel with functionality like workflow, audit trail, business rules, security, authorizations and process modeling, built around a central SQL-database. Peltier Tech Charts for Excel 3.0 is a VBA add-in for Excel that extends Excel’s charting capabilities through several custom chart types and several formatting and data manipulation features. The chart types in the add-in can be made manually in Excel, but only with tedious tricky manipulations of data and chart formatting, but Peltier Tech Charts for Excel creates each at the click of a button. Peltier Tech Charts for Excel works in Excel 2007 through 2016 for Windows, and in Excel 2011 and 2016 for Mac. It installs easily and integrates completely into Excel. Attendees receive a coupon for 50% discount on the product. RefTreeAnalyser is the best Formula Auditing Tool available today. Attendees receive a coupon for 50% discount on the product. MZ-Tools 8.0 for VBA: new features, enhancements and 64-bit support to increase your productivity with VBA. Attendees get a 40% discount on the product. 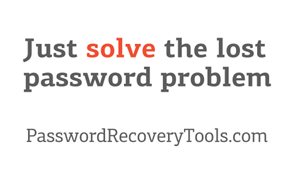 We quickly solve your lost password problems. Password protection becomes a serious issue when the password is lost or forgotten. All Attendees of our event are offered a free AccentOPR Basic License!